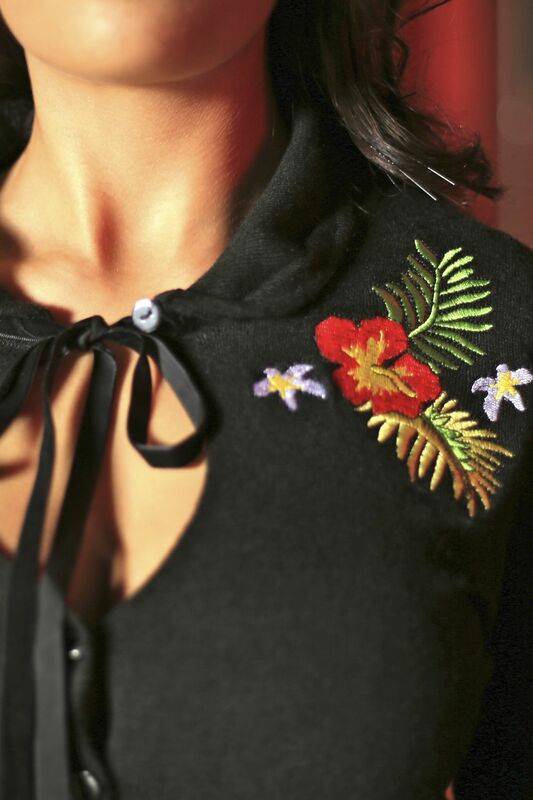 Mariella Cardigan A stunning knitted cardigan with keyhole front feature and colourful exotic hibiscus floral embroidery design. It can be worn tucked into a skirt or over a pair of pants. Definitely a mainstay in any girls wardrobe.